Buying Your First Horse - Is Older or Younger Better? The general consensus is that new riders and horse owners will be safer with an older horse to learn on. Riding coaches and instructors often have a few older horses they know they can put any beginner on for a safe ride. These older horses are the type that a beginner will want to take home and start learning to ride, handle and care for. Younger horses may not be as suitable. There are good horses in every age group, from very young to very old, and, there are exceptions to every rule, but usually, for a beginner rider and owner, there are good reasons for buying an older horse. It's tempting to want a young horse because you think you might bond with it more if you train it, or so your kids can grow up with it, but that could be a bad idea. There are two-year-olds that are saints and easily ridden by the most inexperienced riders and there are senior citizens that are still a handful, even for an experienced horseperson. An older horse often has a lot to offer, despite its age. Even an 18 or 20-year-old horse can have many years of use proper care (and ponies even longer). For those just learning about keeping and riding a horse, an older horse may be the best choice. When you are starting out, your best option is to buy a horse that you can get on and enjoy right now, even if it is an older horse. When it comes to horses, 'older' usually means ten to fifteen years old, but many horses in their twenties are still great riding horses. If you only plan to ride recreationally once a week or so, an older horse is a perfect choice. Many older horses are capable of a full competition schedule as long as you’re aware of any limitations such as arthritis, and are willing to put a bit extra into feeding and upkeep. An older horse can give you the chance to polish your skills, without having to worry about training the horse or teaching it to behave. All of this will have been done for you by previous owners and handlers. Young horses are often less steady and have less training, handling, and experience. Their reactions are not as predictable as an older 'been there, done that' horse. 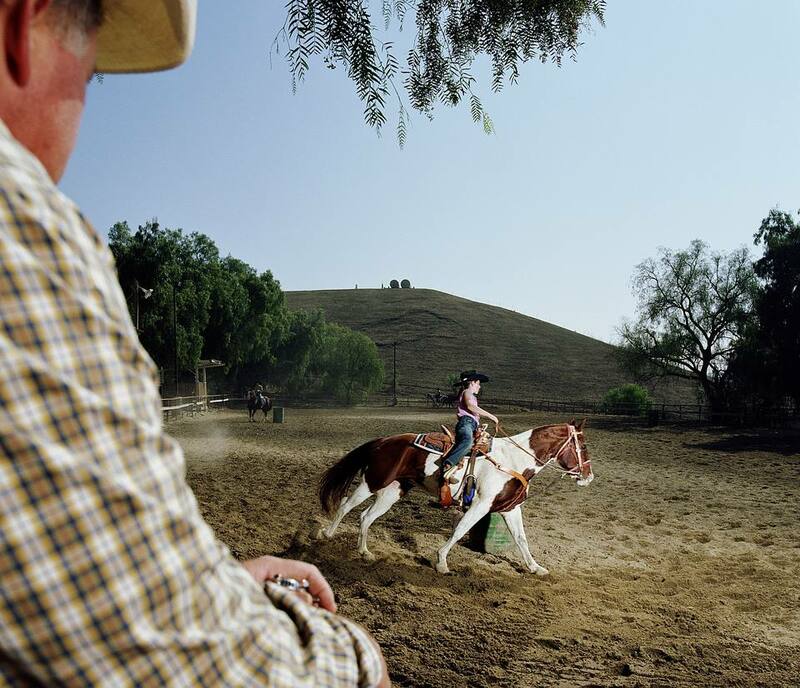 Young horses need riders or drivers who can foresee problems before they begin. Beginning riders rarely have the foresight or knowledge it requires to deal with a young horse when it acts out and misbehaves. New riders will not know what to train a young horse so it becomes a safe and reliable mount. Some young horses are 'old souls', but you can be more assured with an older horse, that their reactions will be more predictable, and they will be safer to work around and ride or drive. You might shy away from an older horse because you feel you will be very ambitious in your riding in the future, but keep in mind that there is a lot of learning between you and your final goal, and an older horse may make the learning easier. An older horse can help you realize your ambitions, and get you ready for the horse that will help you carry those ambitions out later. Remember too, that in a short time your life might change dramatically and you no longer have time to ride four nights a week and can only ride a few times a month. Your older horse will be more likely to be able to adapt to a new schedule, without losing training time. Some older horses may have physical conditions that require extra care. But as long as the horse can be maintained so it is comfortable and the treatment isn't draining your bank account you may decide the extra effort is worth it. The pre-purchase exam should reveal what is entailed in maintaining any horse with any unsoundness. If you’re a beginner rider or owner, don’t shy away from an older horse who will help you learn to ride and have fun with greater safety.